Amazing Honeymoon Vacation - BookVIP, you ROCK! Bookvip - Babymoon in Puerto Vallarta, Mexico! Bookvip - Amazing Views in Cabo! We Love! Testimonial This is the most memorable trip we’ve ever had! Testimonial Bookvip, you helped us save over $2,000.00! 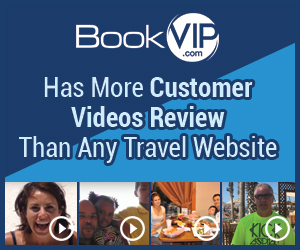 Testimonial We saved hundreds of dollars booking through Bookvip.com! Testimonial This is a once in a lifetime trip. Thanks BookVIP! Testimonial It’s been a great experience with BookVIP! Bookvip - We LOVE Tahiti Village in Las Vegas!